This recipe comes from the cookbook Pure Simple Cooking by Diana Henry. The recipe is extremely delicious and flavorful. It was very easy to prepare because everything cooks together in one pan. This recipe is also great because it goes with most vegetables. For this dinner I made sautéed spinach and roasted asparagus. 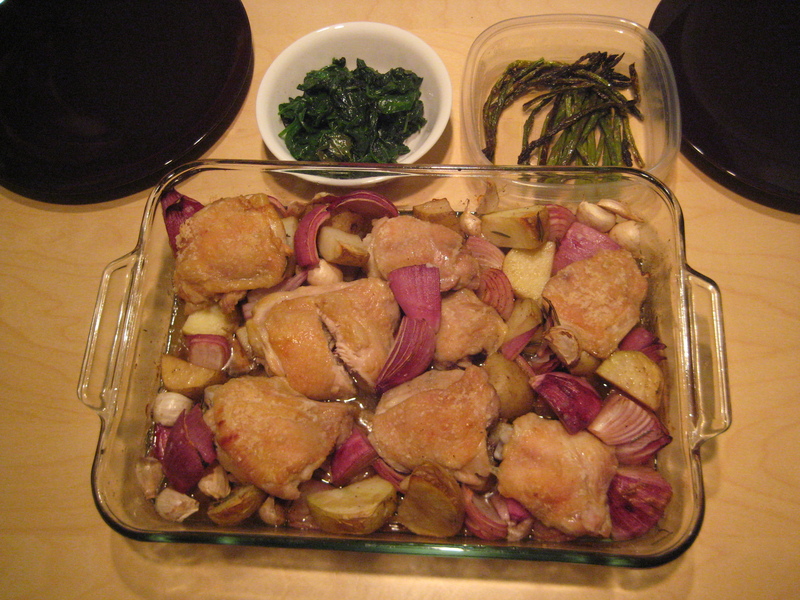 I used chicken thighs which were very moist, and rubbing salt on the skin made it perfectly crispy. I highly recommend this recipe, as I am sure my friends who I prepared it for would agree!